�����The Regency 28 Sale in Las Vegas hosted by Legend Rare Coin Auctions is this week with several major collections up for bid including the Konstantine Collection of Bust Half Dollars. One of the many highlights of this collection is the 1817/4 Bust Half in PCGS VF35, with just 11 known examples and 7 of those certified by PCGS, the highest grade is the PCGS AU53 (the other 4 have various condition problems and are ungraded). 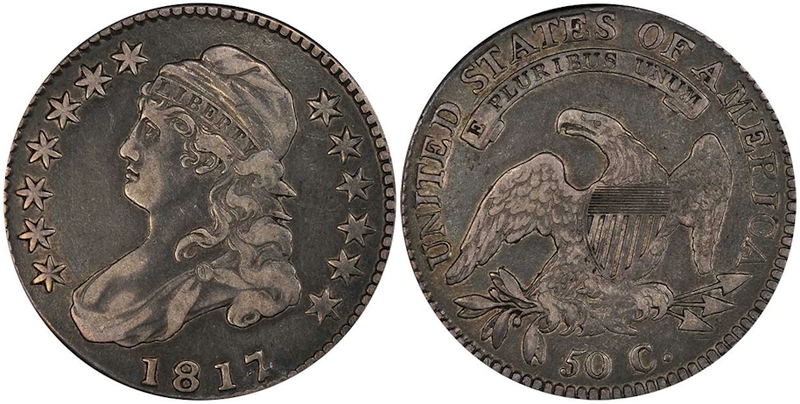 The current NumisMedia Market value for the VF20 is $185,000 and the XF40 is $230,000. 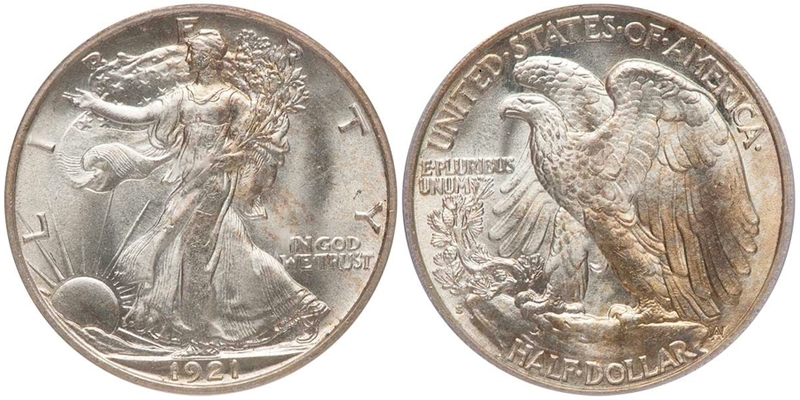 �����Another coin to watch at Regency 28 comes out of the Sommelier Collection of Walking Liberty Half Dollars, the 1921 S certified by PCGS MS65 that also has the CAC sticker. While there are 37 certified in MS65, there are only 4 with the CAC sticker. 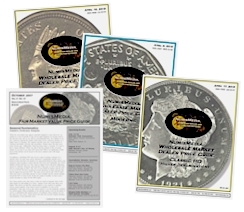 There are an additional 5 coins certified higher at MS66 with one of those garnering the CAC approval. 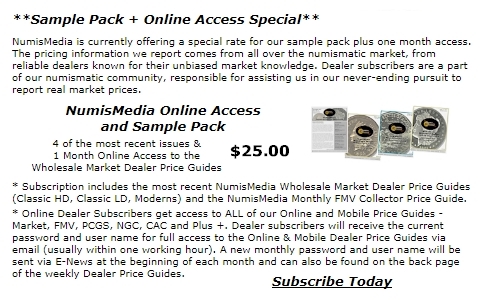 The NumisMedia CAC value is currently at $127,500. Below are some of the other potential highlights from the 28th Regency Sale. 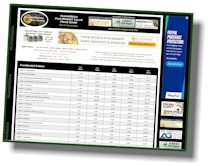 �����A good mix of increases and decreases cover the Buffalo Nickels chart this week in the LD Wholesale Market Dealer Price Guide. The 1913 S TI in MS66 is higher at $1,150 Market and the 1914 S in the same grade is now at $4,525. Also on the rise is the 1915 D in MS66 up to $3,575, as well as the 1919 S in MS65 jumping to $8,475. �����On the downside are the following Buffalo Nickels: 1913 D & S TII in MS66 down to $2,000 and $4,525, respectively, and the 1915 in MS67 is lower at $2,225.